In this section you will find a list of vacancies that are linked to the European projects coordinated or supported by the Institute for Advanced Architecture of Catalonia (IAAC), which includes recruitment calls in a wide range of areas: research, communication, management, technological support or any other field related to the specificity of the project. ROMI will develop an open and lightweight robotics platform for microfarms. We will assist farms in weed reduction and crop monitoring to reduce manual labour and increase productivity whilst supporting organic and sustainable agriculture. Design and fabricate mechanical frames for drones, cablebots or other aerial solutions as part of ROMI, joining a multidisciplinary team of experts leading the project. Participate in the development of Robotic solutions for micro farming in terms of mechanical design, electronics and prototyping strategies. Install and test robotic solutions on site, managing basic communications by the different teams of experts. An EU national, or with a working permit for Spain. Fluent in English, Spanish and Catalan is a plus – other languages are a bonus. This position is open to engineers, product designers, fab lab experts or makers with a previous fab lab experience. Knowledge in the field of digital fabrication and physical computing, with a specific interest in open source robotics. Work and Service Contract of 5 months of duration, Part time position (16h per week). Date of start: May 2019. The application period will close on the 22nd of April, 2019. ROMI aims to increase productivity and reduce manual labour in small market farms (microfarms). These microfarms are typically started by young people all over Europe in rural, peri-urban and urban areas, and grow a large variety of crops (up to 100 different varieties of vegetables per year) on small surfaces (0.01 to 5 ha) using organic farming practices. ROMI will develop an open and lightweight robotics platform to assist these farms in weed reduction and crop monitoring. Thanks to ROMI’s weeding robot, farmers will save 25% of their time. This land robot will also acquire detailed information on sample plants and will be coupled with a drone that acquires more global information at crop level. Together, they will produce an integrated, multi-scale picture of the crop development that will help the farmer monitor the crops to increase efficient harvesting. For this, ROMI will have to adapt and extend state-of-the-art land-based and air-borne monitoring tools to handle small fields with complex layouts and mixed crops. Design experimental protocols to test the effectiveness of ROMI solutions in real-world field conditions. Develop specific tools to work in dense vegetable polycultures. Extend the ROMI plant monitoring analysis techniques to solve microfarm management problems such as plant health monitoring and harvest prediction. Bring an end user’s perspective and involve other potential end users and stakeholders in the development process. Identify obstacles and opportunities in bringing the ROMI platform to the market. A minimum experience of five years in designing and managing dense vegetable polycultures in Mediterranean climatic conditions using organic farming techniques. Practical experience in crop rotation and association. Practical experience in soil regeneration practices such as mulching, green manure, cover crops and surface composting. Knowledge of local microfarm context and related short circuits of commercialization of organic vegetables such as consumer coops. Experience in social agriculture and environmental education is highly valued. Academic level in English, fluent in Spanish – other languages are a bonus. Experience in writing and working in European research projects (Horizon 2020, Erasmus+, Creative Europe, …) is highly valued. Date of start: 15th of April 2019. The application period will close on the 10th of April, 2019. The Institute for Advanced Architecture of Catalonia (IAAC) is a center for research, education, production and outreach, with the mission of envisioning the future habitat of our society and building it in the present. Fab Lab Barcelona is a think-and-make tank located inside the Institute of Advanced Architecture of Catalonia, in Barcelona. With a strategic focus on learning, research and making we use digital fabrication to innovate responses to urgent societal challenges. Our primary mission is to enable cities and citizens with the tools and knowledge to be more resilient, sustainable and empowered through digital literacy in fabrication, computation, and communications. It is currently developing projects in different scales, from smart devices for data collection by individuals (Smart Citizen), the development of the new generation of Fab Labs (Green Fab Lab project), to the new production models for cities with the Fab City Initiative. Fab Lab Barcelona is part of several Consortiums with top European Institutions partnering in Research Projects aligned with our agenda. 1 year contract, to be renewed later. Part time position (20 h week, from Monday to Friday) based in Barcelona. Date of start: 1st of May 2019. Salary: 13000 – 16000 € per annum. according to experience. The application period will close on the 10th of April 2019.
this subject: “JOB APPLICATION – FINANCIAL MANAGER FOR EUROPEAN PROJECTS – Fab Lab Barcelona”. DDMP (Distributed Design Market Platform) is an EU Project that aims to further develop Fablabs.io Network by promoting and improving the connection of makers and designers with the European market. Develop and design visual communications materials considering briefs developed by internal and external stakeholders. Design and produce brand and communicational pieces for different supports (digital & physical). Design websites, platforms and landing pages (UX & UI). Audiovisual documentation of project and activities related (Photo and video). Develop communications and advertising campaigns. Experience designing publications, websites and user engagement strategy for projects and events. Good understanding of communications needs for innovation and science communication. Bachelor in design related field. Master in design, arts, etc. is a plus. Knowledge of the field of innovation, with a specific interest in science communications. Full-time position (40 h week, from Monday to Friday) based in Barcelona. Date of start: March 2019. The application period will close on the 9th March 2019. IAAC is currently running several EU projects and is looking for a EU Project Manager. Fluent in English, Spanish is a plus – other languages are a bonus. Master’s graduate in a relevant field (architecture, design, computer science, social sciences, engineering, etc.). Other fields can be considered according to the candidate’s profile. 1 year contract, to be renewed upon completion. Date of start: March-April 2019. Salary: 27,000.00 – 32,000.00 € per annum. according to experience. The application period will close on the 8th March 2019. Fab Lab Barcelona is a think-and-make tank located inside the Institute for Advanced Architecture of Catalonia, in Barcelona. With a strategic focus on learning, research and making we use digital fabrication to innovate responses to urgent societal challenges. Our primary mission is to enable cities and citizens with the tools and knowledge to be more resilient, sustainable and empowered through digital literacy in fabrication, computation, and communications. It is currently developing projects in different scales, from smart devices for data collection by individuals (Smart Citizen), the development of the new generation of Fab Labs (Green Fab Lab project), to the new production models for cities with the Fab City Initiative. Fab Lab Barcelona is part of several Consortiums with top European Institutions partnering in Research Projects aligned with our agenda. We are looking for a Project Manager with strong financial skills, capable of cover a whole range of tasks related to the organisational, administrative, financial and legal management of the projects. Monitoring and managing Budgets for the runtime of the projects (planning of expenses). Fluent in English. Spanish is a plus – other languages are a bonus. Knowledge of European programs, such as H2020, Creative Europe and Erasmus+. Full time position (40 h week, from Monday to Friday) based in Barcelona. Salary: 30,000.00 – 35,000.00 € per annum. according to experience. The application period will close on the 1st of March 2019. 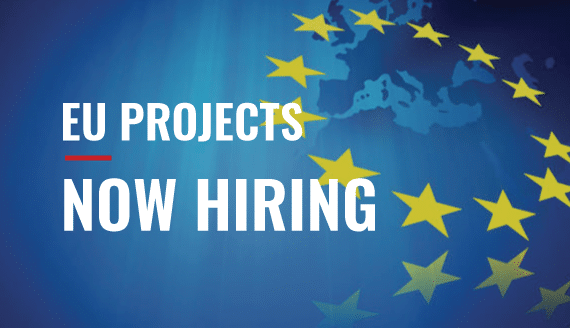 Send your CV, Cover Letter and the documents required on the general basis to [email protected] with this subject: “JOB APPLICATION – PROJECT MANAGER FOR EUROPEAN PROJECTS – Fab Lab Barcelona”. to understand the cultural, organisational and procedural transformations needed to embed co-creation as a design-driven approach in RRI processes and STI policy making, overcoming barriers and resistance to change. By engaging citizens, local actors, stakeholders and policy makers SISCODE will increase knowledge on co-creation through action research, and will test the effectiveness of design methodologies to better combine co-construction (ideation) and co-production (implementation) of solutions and policies for the integration of society in science and innovation. During the project, experiments will take place in 10 co-creation labs across Europe, each of them is a member of one of three following networks: the Fab City Foundation (managed in part by Fab Lab Barcelona), European Network of Living Labs (ENoLL), and European network of science centres and museums (ECSITE). Experiments will be conducted through the implementation of co-creation journeys that will last around 18 months. In these experiments, each lab aims to tackle a specific societal challenge, and engage with it a set of stakeholders in a co-creation process from the stage of co-design where stakeholders will analyse the context, reframe the problem and envision alternatives, to that of co-production of prototypes within an iterative process. The phase 1 “Analysing the context” consists of gathering data about the actual and future implications of CE for makers in city, creating visualisations of the local ecosystem in term of people and flows of materials/products as well as pedagogical supports for raise awareness about complex urban food systems. In the phase 2 “Re framing the problem”, the candidate will co-organise different knowledge exchange activities and start engaging the community. In the phase 3 “Envision opportunities”, a maker challenge will be organised. The candidate will support the design and facilitate each step of the event. In addition, the candidate will have to report his activity into the deliverables of the SISCODE project, contribute to research publications as well as participate in local and international events related to the project. Finally, the candidate will work closely with IAAC and Fab City Research to ensure the coherence of the pilot with the existing and future activities of the organisation (educational, research and making). Appetence for the Fab Lab Ecosystems as well as for RRI and co-creation activities. Having a Master in Sustainable Design, Environmental Assessment and/or Circular Economy. Experience and good knowledge of Urban Food systems. At least one previous experience in Barcelona, especially in the Poblenou and Valldaura districts. Aspiration of being a Change-Maker for ecological transitions and radical innovations. 5 months contract, to be renewed later. Part time position (20 h week) based in Barcelona. Salary: 10,000.00 € per annum. The application period will close on the 21st February 2019. Send your CV with a list of scientific publications, a Cover Letter and the documents required on the general basis to [email protected] with this subject: “JOB APPLICATION – RESEARCHER FOR SISCODE”. THE INSTITUTE – The Institute for Advanced Architecture of Catalonia – IAAC is an international center for Education, Fabrication, and Research dedicated to the development of architecture capable of meeting the worldwide challenges in constructing 21st-century habitability. Based in the [email protected] district of Barcelona, one of the world’s capitals of architecture and urbanism, IAAC is a platform for the exchange of knowledge with researchers, faculty, and students from over 60 countries around the world. IAAC is currently looking for a Data Engineer who will serve as an urban data analyst, on different educational and research projects at IAAC. IAAC has established expertise in Smart City projects, as well as urban planning and design in the era of Big Data. The Data Scientist will join IAAC’s Advanced Architecture Group as a member dedicated to the fundamental process of capturing, indexing, visualizing and processing urban data for the development of informed and optimized urban design and planning processes. The Data Scientist will be developing applied research and projects, as well as teaching activities, within the framework of European funded research projects and the Master in City & Technology. Knowledge of GIS, Mapbox and/or Leaflet is highly appreciated. Willing to learn, motivated, enthusiastic. Language: English (+ Spanish appreciated). Spanish working permit is mandatory. The application period will close on the 4th February 2019. By engaging citizens, local actors, stakeholders and policymakers SISCODE will increase knowledge on co-creation through action research and will test the effectiveness of design methodologies to better combine co-construction (ideation) and co-production (implementation) of solutions and policies for the integration of society in science and innovation. The vision of REFLOW is to develop circular and regenerative cities through the re-localisation of production and the re- configuration of material flows at different scales. More specifically, it will use Fab Labs and makers paces as catalysers of a systemic change in urban and peri-urban environments, which enable, visualize and regulate “four freedoms”: free movement of materials, people, (technological) knowledge and commons, in order to reduce materials consumption, maximize multifunctional use of (public) spaces and envisage regenerative practices. Concretely, REFLOW aims at providing realistic best practices aligning market and government needs in order to create favourable conditions for the public and private sector to adopt circular principles. In order to provide critical examples of ways in which cities can adopt a CE model and reach the 2030 Sustainable Development Goals, REFLOW will create new CE business models (Distributed Design Market model, On-Demand System, Corporate Hacking and Corporate Pyramid) within 6 pilot cities (Amsterdam, Berlin, Milan, Paris, Vejle and Cluj-Napoca) and assess their social, environmental and economic impact. The project will make use of blockchain technologies in order to incentivise the circular practices in local ecosystems and data visualisation tools to enable continuous monitoring and optimisation of “urban metabolic” processes and rapid interventions management. Networks of sensors, urban computing and geo-localisation will capture data ensuring accuracy, integrity and interoperability of relevant data infrastructures, while data visualisation and standard templates will be available for effective communication, public consultation, and exchange of experiences. PhD, late-stage PhD or master’s graduate in a relevant field. Date of start: February 2019. The application period will close on the 25th January 2019. IAAC is an open, independent and radical non-profit foundation, with 17 years of activity; inspired by the values of Barcelona, the capital of architecture and design, where urbanism was invented and where local high quality and innovation-oriented research is connected to an international network of excellence in technology, architecture and society fields. Master’s graduate in a relevant field (architecture, design, computer science, social sciences, engineering, etc.). Other fields can be considered according to candidate’s profile. 3. to understand the cultural, organisational and procedural transformations needed to embed co-creation as a design-driven approach in RRI processes and STI policy making, overcoming barriers and resistance to change. The Research Coordination and Support Unit led from Fab Lab Barcelona at IAAC (RCS) aims at supporting all the departments within IAAC to improve their research activities along three main directions: (i) Research promotion, (ii) Projects management and (iii) exploitation and technology transfer. SISCODE: Design co-creation journeys that will test in pilots the effectiveness of design methodologies for the integration of society in science and innovation. SISCODE: Develop and facilitate workshops and co-creation sessions with pilot’s local actors and stakeholders. SISCODE: Assess and disseminate the results of co-creation journeys to other actors in the co-creation labs ecosystems (Fab Labs, Science Museums, Living Labs). RCS: Support in the communication of scientific results, yearly statistics of IAAC results, public database of results and publications. RCS: Disseminate and promote calls for papers and European projects, assess the academic and research staff and facilitate their participation in such calls. 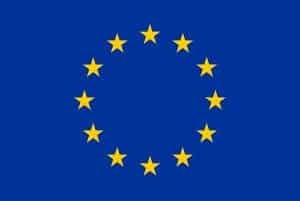 RCS: Support the writing of European proposals (Horizon 2020, Creative Europe, …). Experience in user-centred design and co-design processes, approaches and tools. Experience in planning and running workshops, pilots and events. Experience in desk research, workshops, interviews and other research methods. Experience with stakeholders and RRI. Experience in writing scientific publications and participation to conferences and events. Experience in writing and working in European research projects (Horizon 2020, Creative Europe, …) is highly valued. Both experience as a practitioner and as academic are highly valued. Postdoc or PhD in a relevant field (design, service design, interaction design, social sciences, etc.). Contract for work and services (around 1 year, extended to the end of the project). Salary: 20,000.00 – 30,000.00 € per annum. according to experience. The application period will close on the 18th October 2018.